The word of the blessing of Enoch, with which he blessed the elect and righteous, who will be living in the day of tribulation, when all the wicked and godless are to be removed… Concerning the elect I said, as I began my story concerning them: The Holy Great One will come out from His dwelling, and the eternal God will tread on the earth, [even] on Mount Sinai, and appear in the strength of His might from heaven… And the earth shall be wholly torn apart, and all that is on the earth shall be destroyed, and there shall be a judgment on all… And behold! He comes with ten thousand of His Holy ones [saints] to execute judgment on all, and to destroy all the ungodly [wicked]; and to convict all flesh of all the works of their ungodliness which they have ungodly committed, and of all the hard things which ungodly sinners have spoken against Him. For the next two hours or so, the movie director does his or her best to make the viewer completely forget about what happened at the movie’s outset. Once the finale arrives, the foreshadowing event appears unexpectedly. The viewer is shocked how the conclusion was clearly shown at the beginning; yet, the viewer did not remember or relate what they saw ‘early on’ in the story as it unfolded. When the Director twists this ploy just right, the viewer may be dumbfounded as to just how he or she was tricked by the director’s story-telling genius. Being misled in this way makes for a great tale and a satisfying mystery movie experience. Believe me, I have been fooled more times than not! THE BOOK OF ENOCH—AN EARLY BOOK OF PROPHECY? One of the great mysteries in biblical studies is the place and value of the Book of Enoch. Like a good mystery plot, Enoch comprises a very old book (between 2,200 to 5,000 years old) which begins by providing information directed far into the future concerning the end of the world. The author addresses himself to ‘the elect’—a rare phrase in the canonical Hebrew Bible as we will see. Moreover, what remains so intriguing (if not ironic), is that Enoch speaks to those living at the end of history although Enoch lived at history’s beginning. 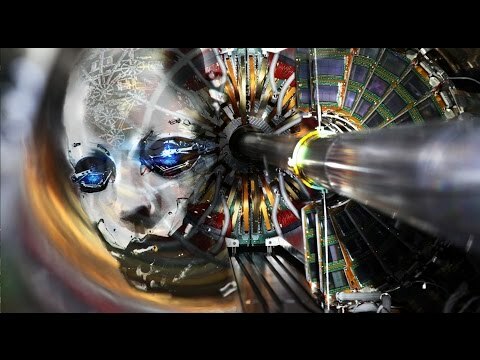 How could someone living ‘at the very beginning’ of time know how ‘the end’ would turn out? 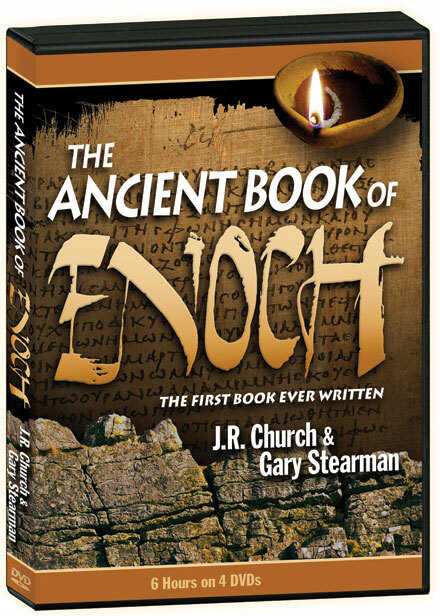 The Book of Enoch has become a very popular book over the past 100 years. It is even referenced indirectly by Freemasons. 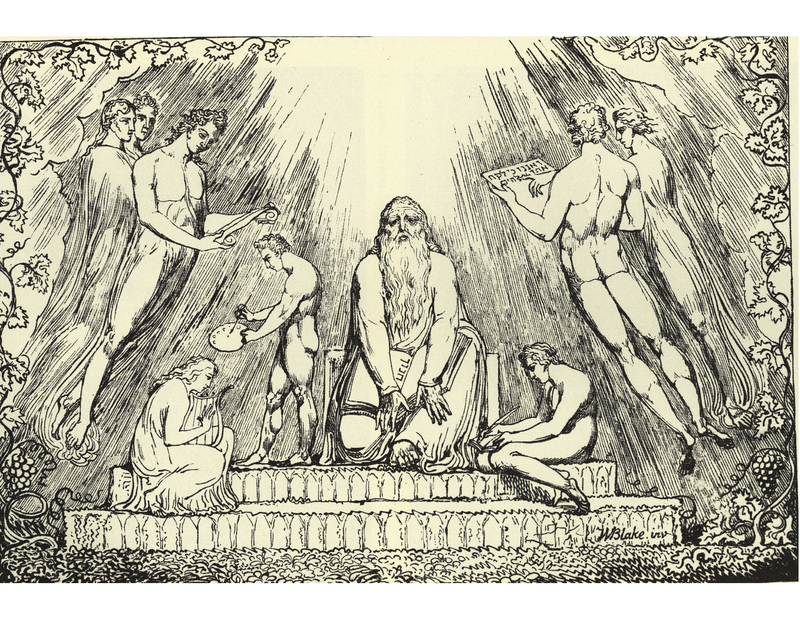 Sometimes we hear tell of a special type of magic: Enochian magic—which, as we will see, refers to the god Hermes and the ancient magical system known as Hermeticism. Both systems of magic connect humankind to the religion of Egypt. Enoch, like Melchizedek (described as the Priest and King of Salem in Genesis and the Book of Hebrews) is indeed a mysterious character. The story and traditions surrounding Enoch are considerable. Some mythologies see Enoch as the planner and originator of the Great Pyramids of Egypt. This theory suggests that since the pyramids were undeniably built before the Flood, the people who built the pyramids were not Egyptian. These traditions suggest the pyramids were known as the Pillars of Enoch. Additionally, Enoch may have been the real person behind the god Thoth, the Egyptian version of the Greek god Hermes. Since Enoch was thought to be the originator of writing, this mythical god Thoth inherited this attribute supposedly creating written communication. With but a small leap in logic, the ancients came to regard him as heaven’s messenger. Many interpret Isaiah 19:19 in connection with Enoch. Their contention is the Giza pyramids were originally monuments to Enoch’s God (and the God of Adam and Noah): “In that day shall there be an altar to the LORD in the midst of the land of Egypt, and a pillar at the border thereof to the LORD.” The Pyramids lie upon the border which exists between Upper and Lower Egypt. Additionally, since they contain no hieroglyphics anywhere on their many vast inner or outer walls, some speculate their purpose was not to entomb mummies of the Kings. Instead they appear to ‘encase’ ancient wisdom—as their extraordinary dimensions incorporate mathematical knowledge about the world’s geography—knowledge vastly beyond the grasp of early humankind. Even the notion of ‘pi’ (π—3.14159…) appears intentionally constructed within the ratios of these megalithic buildings dating almost 3,000 years before Christ walked the earth. However, connecting Isaiah’s statement to the Egyptian pyramids may be a stretch given that the Giza pyramids existed at least 2,000 years before Isaiah, and since the context of Isaiah 19 infers a time far into the future when the Egyptians speak the language of Canaan (perhaps Arabic? ), are judged by God, but then healed by Him. Along with Assyria, at this future time Egypt is under the authority of Israel (which has never transpired before). God speaks of all three peoples representing one-third of His entire earthbound family—reflecting upon the unity of all Semitic peoples, specifically Abrahams’ offspring, all of which were to be blessed by God. Likewise, in today’s discussions of prophecy, the Book of Enoch often pops up. As we will see, there are many absorbing themes in the book. We know it is quoted in the New Testament by both Jude and Peter. Yet, it is not a part of the Protestant or Catholic Holy Bible. The early church was clearly split on its authenticity and its position in the canon. Those who comment on it in our time suggest the book is much like Daniel and Revelation; that is, it is ‘apocalyptic’ in nature. It speaks about the horrible judgments which will come to humanity at world’s end. Many of the so-called ‘Church Fathers’ treated the book as sacred; like Peter and Jude, they quoted the book in their writings. We find this true of Justin Martyr, Irenaeus, Origin and Clement of Alexandria. Tertullian (160—230 AD) especially considered the book to be Holy Scripture. Indeed, to this day the Ethiopian Coptic Church preserves and upholds the book as part of its official canon. On the other hand, the early ‘fathers’ Hilary, Jerome, and Augustine challenged its authenticity. As a result, for almost 1,400 years the book was ‘lost’ to Western Christianity. It wasn’t found again until a Scottish explorer, James Bruce, went to Ethiopia at the end of the eighteenth century upon hearing rumors of its existence there. Bruce brought back three copies of the book written in the Ethiopian language. Scholars suggest that the text was originally Aramaic and may have been translated into Greek before being rendered into the Ethiopian language. The first English translation was published by Richard Laurence in 1821. Another edition, more famous than Laurence’s, was printed by R. H. Charles in 1912. Thereafter, a Greek text surfaced followed by an Aramaic version discovered in cave 4 at Qumran as part of the Dead Sea Scrolls in 1947. The book is traced to at least the second century BC and may have been written much earlier. In fact, there are suggestions by some, perhaps ‘romantically,’ that the book (or the first portion of it) was written by Enoch himself prior to the time of the flood. Some authorities considered Enoch to have been the first human to have developed the language known as ‘proto-Hebrew.’ As noted before, tradition indicates that he was the originator of written language altogether. We do know that the Proto-Hebrew alphabet was similar to early forms of Greek and Phoenician alphabets. Indeed, these three very ancient non-pictorial languages show many similarities (all three are based on symbols representing sounds rather than pictures as in hieroglyphics—although Hebrew seems to contain both characteristics). These languages appear to date to at least 1650 BC. It seems likely that commerce between the Greeks, Phoenicians, and Hebrews was the catalyst for the ‘growth and development’ of these alphabets, aka writing systems, during the centuries before King Solomon (who lived circa 1,000 BC). If Enoch wrote the original (or portions thereof), this fact would push the dating back to at least 3,000 BC. As I have noted earlier, Biblical genealogy suggests the Flood of Noah occurred approximately 2,350 BC. If the Book of Enoch was taken aboard Noah’s boat, logically it would have been penned before that date. So when was Enoch born and how long did he live? Jewish authorities suggest that Enoch was born in the Jewish year 622. Moses indicates that Enoch lived for 365 years, and then ‘God took him’ (a mystery about which we will talk more in the next posting). This would place Enoch’s disappearance from the earth at about 988 in the Jewish calendar (around 3,000 BC). The Flood was about 650+ years later. Just for context, Abraham lived about 1,000 years after Enoch (around 2000 BC) and 1,000 years before Solomon. On the other hand, given the Christian New Testament quotes Enoch toward the end of the first century (probably around the time Jerusalem was destroyed in 70 AD), the book would have been known and revered well before that time, as inclusion in the Essenes’ community confirms. Therefore, while admitting it to be a quixotic notion that the book was written by the actual Enoch, nevertheless it was certainly written well before the time of Jesus. Surprisingly, although written at least 200 years before the Christian New Testament, it foreshadowed the beliefs of the Christian community regarding events such as the Rapture, the return of Messiah with His saints, and the Great Tribulation at the end of time. In and of itself, these factors are all highly significant as the same points are reflected in the actual writings of the New Testament. Was the book shared by Christians and Jews? Yes, but only for a time. Merely to speak of God literally ‘walking on the earth’, would disqualify the Book of Enoch from consideration by the Jewish Rabbis as they finalized their canon (in the second century AD, about 100 years following the destruction of the Essene community). To be more specific, the book smacks of a belief in ‘incarnational theology’ (that God could become man—something orthodox Jewish theology rejects) even though the author placed his setting in the antediluvian (pre-Flood) age. After Jesus and the rise of Christianity, Jewish scholars dismissed any notion that the Messiah could be divine. As stated previously, the Messiah was ‘anointed’ by God, but his essence was human and never divine. “For Jacob my servant’s sake and Israel mine elect, I have even called thee by thy name: I have surnamed thee, though thou hast not known me” (Isaiah 45:4). “And I will bring forth a seed out of Jacob, and out of Judah an inheritor of my mountains: and mine elect shall inherit it, and my servants shall dwell there. (Isaiah 65:9). Likewise, another verse from Isaiah seems to refer to the Jewish people but at a very special point in time.“They shall not build, and another inhabit; they shall not plant, and another eat: for as the days of a tree [are] the days of my people, and mine elect shall long enjoy the work of their hands” (Isaiah 65:22). In every instance where we see the term elect, it refers to the Messiah or Israel during the Messianic Kingdom. The elect are a select group (literally). 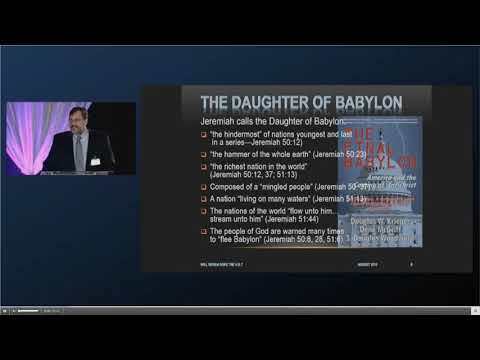 In all instances where we see the word bachiyr translated chosen, it refers to Moses, David, the Messiah, or the ‘chosen people.’ Since Enoch begins book ‘to the elect,’ he connects with a special audience linked to the Kingdom of God, but specifically at the time of Earth’s Great Tribulation. “And Enoch also, the seventh from Adam, prophesied of these, saying, ‘Behold, the Lord cometh with ten thousands of his saints, to execute judgment upon all, and to convince all that are ungodly among them of all their ungodly deeds which they have ungodly committed, and of all their hard [speeches] which ungodly sinners have spoken against him’”  (Verses 14, 15). This passage implies the division of humanity into three distinct groups: (1) The Saints that come with the Lord; (2) the believing who will inherit the Kingdom; and (3) the unbelievers who will be taken out of the earth and cast into ‘outer darkness’ or into ‘the lake of fire.’ As such, the verse implies a particular cosmology at the end of the age. Some of the elect have been transformed into ‘Saints’ and are capable of moving between heaven and earth. Some of the elect still live on the earth with ‘standard equipment on board’—they have not been transformed into immortal persons and are ‘earth-bound.’ Lastly, at the beginning of the Kingdom, anyone who does not belong to this exclusive club—the elect—will be eliminated. 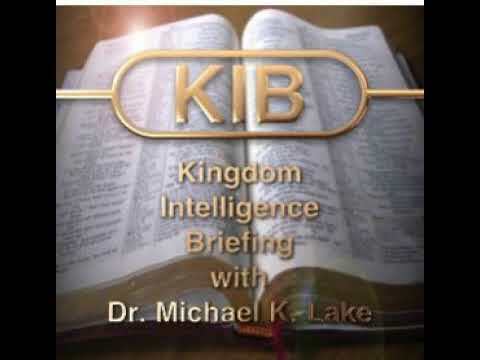 The ungodly will not inherit the Messiah’s Kingdom. My wife frequently reminds friends that if they ever ‘go to the mill, go with a really bad person!’ What is her point? It refers to Jesus’ teaching in Matthew 24:40-42: “Then shall two be in the field; the one shall be taken, and the other left. Two women shall be grinding at the mill; the one shall be taken, and the other left. Watch therefore: for ye know not what hour your Lord doth come.” The moral of the story: Better to be the one the Lord selects to enter into the Kingdom! Be one of the elect. It is not a good time to be ‘outstanding in your field’—you may be left standing alone! 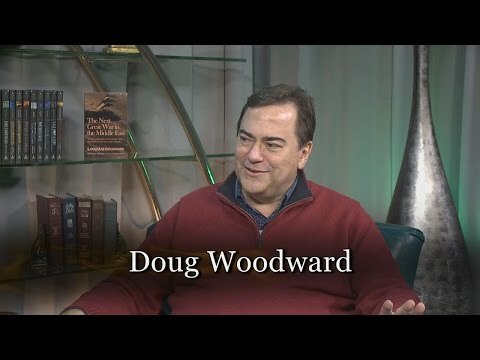 This article is drawn from Doug Woodward’s new book, BLOOD MOON: BIBLICAL SIGNS OF THE COMING APOCALYPSE. Click here for information about the book and to purchase the book (Printed copy or for Kindle) at Amazon. “Enochian magic is a system of ceremonial magic based on the evocation and commanding of various spirits. It is based on the 16th-century writings of Dr. John Dee and Edward Kelley, who claimed that their information was delivered to them directly by various angels. Dee’s journals contained the Enochian script, and the table of correspondences that goes with it. It claims to embrace secrets contained within the apocryphal Book of Enoch” See Wikipedia, Enochian Magic. For inquiring minds, ancient Jewish wisdom, according to ‘my’ Rabbi, Daniel Lapin, asserts Shem, the son of Noah, was this preist. See my discussion on the pyramids in my previous book, Decoding Doomsday, for specific information about this ancient knowledge. My friend and co-author Douglas W. Krieger argues that Shem was the builder of the pyramids subsequent to the Flood through which he and his family had just passed. The sacred cubic which appears to be equal to 25.20 British inches (2.1 feet) enables all sorts of fascinating calculations when applied to the pyramids of Giza. See his book, Signs in the Heavens and in the Earth: Man’s Days are Numbered. Arabic developed from ancient Aramaic (the language of Jesus and the language of ‘Canaan’). Today, it is a melting pot of language spoken throughout most of the Middle East bequeathing many words to Spanish, Portuguese, and other European languages. As Alexander the Great enforced the Greek language upon most of the known world in the 4th century BC, Mohammed and his followers imposed this language across the Islamic nations in the 8th century AD and forward. This recap is taken from Joseph B. Lumpkin’s ‘intro’ to his version of The Book of Enoch, a Transliteration, and published May 2004. Jewish dates begin with the birth of Adam in year one, which works out to our 4004 BC, according to a number of sources. See Dating Discrepancies in the Hebrew Calendar, Sheldon Epstein, Bernard Dickman and Yonah Wilamowsky. This trio is composed of educators whose joint works on Biblical and Talmudic topics appear in Tradition, Higayon, and Location Sciences. The Jewish sect that assembled the Dead Sea Scrolls circa 40 AD. Not surprisingly, taking the Lord’s name in vain and doing evil in the name of God are extremely bad things to have on your record.